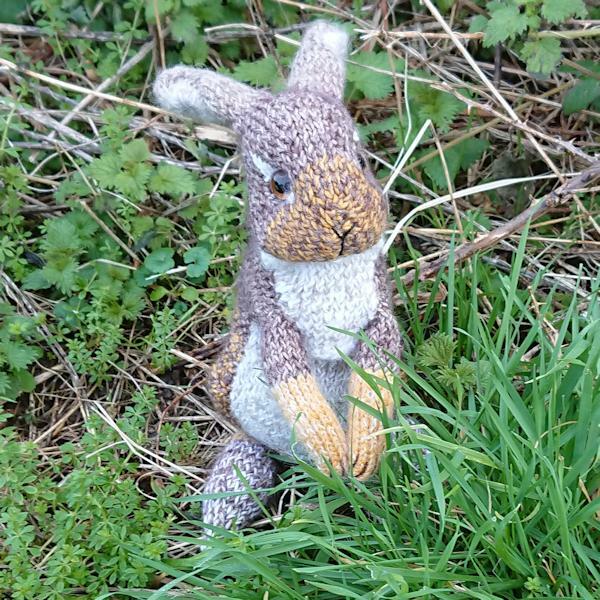 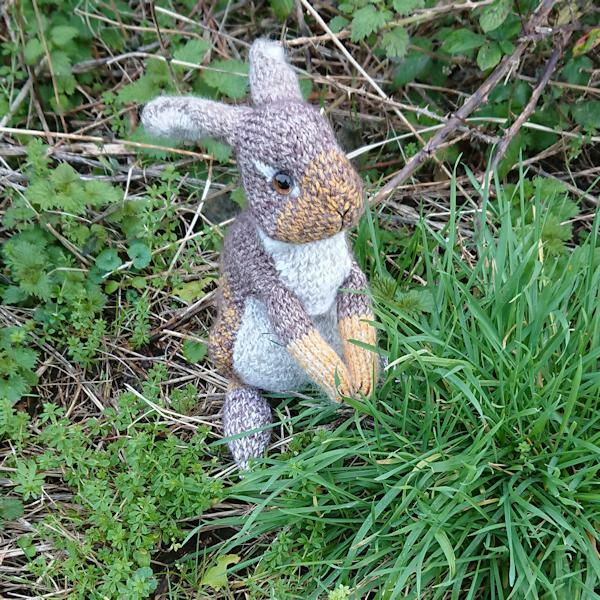 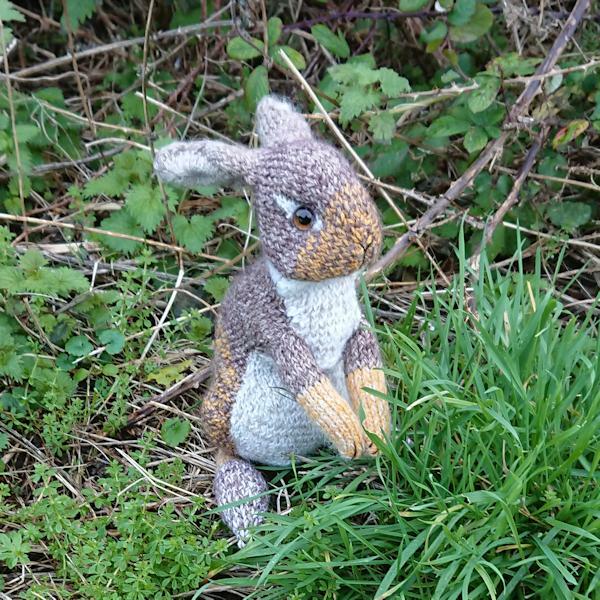 The very cute little wild rabbit Bramble is on a search for Spring grass! 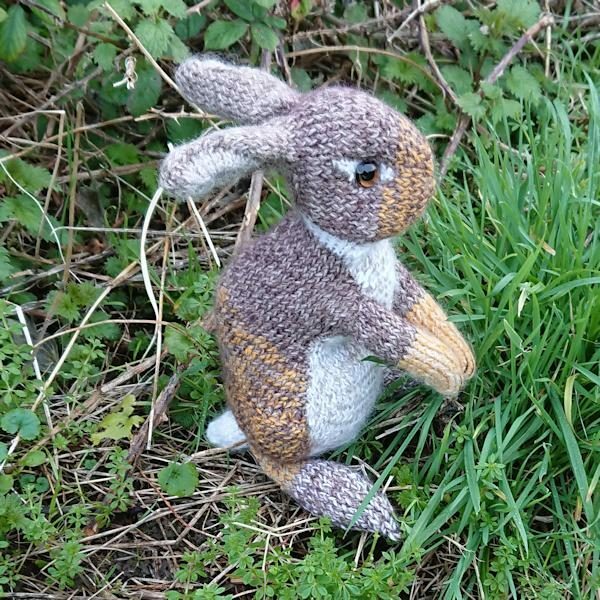 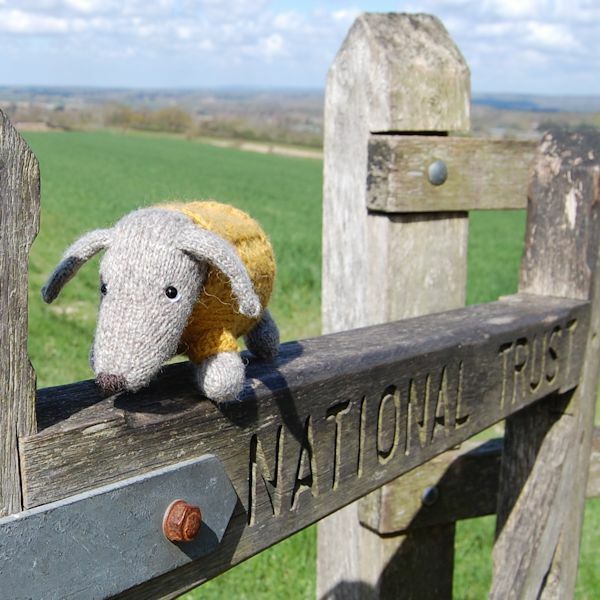 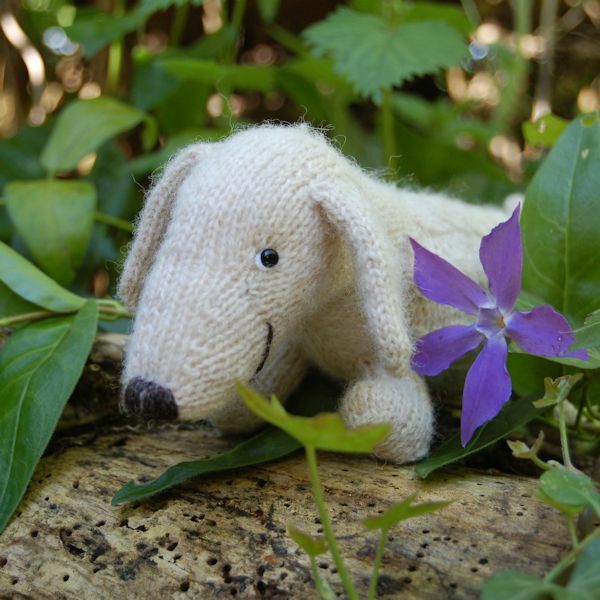 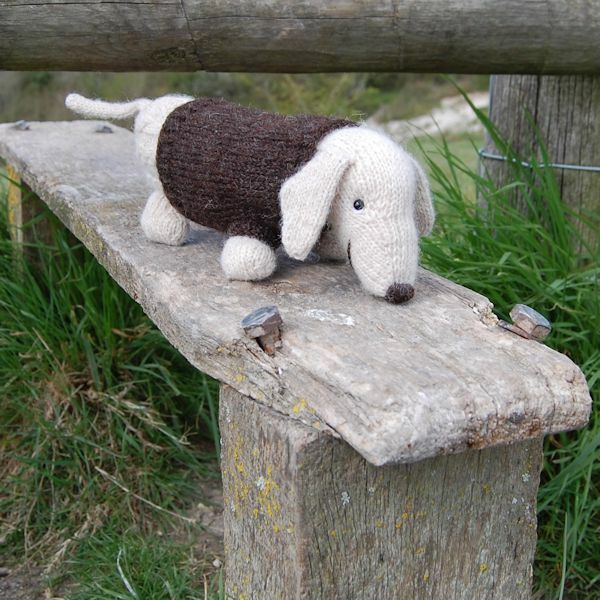 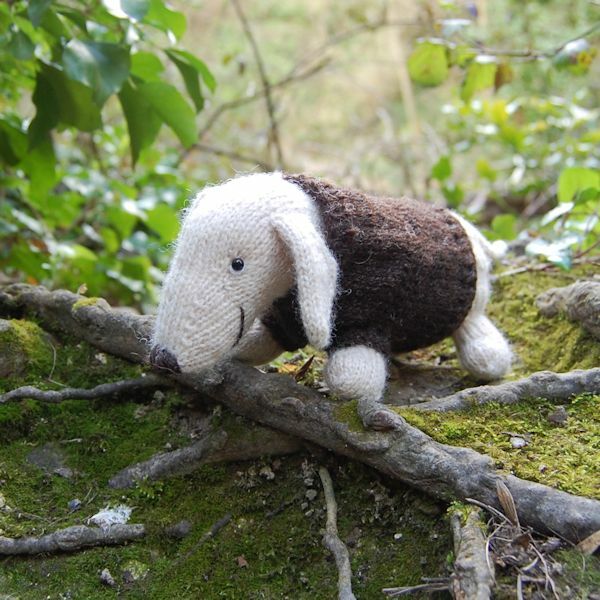 Hand knitted from a mix of pure alpaca, wool and soft fluffy mohair to create his realistic colouring, I have hand knitted Bramble from a pattern designed by the very talented Claire Garland, her patterns are wonderful and it is great to be able to promote her work. 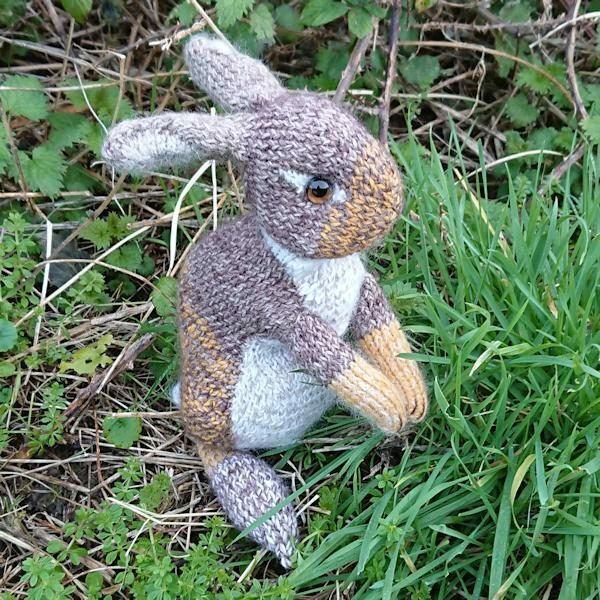 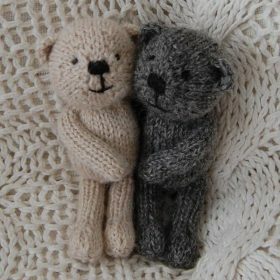 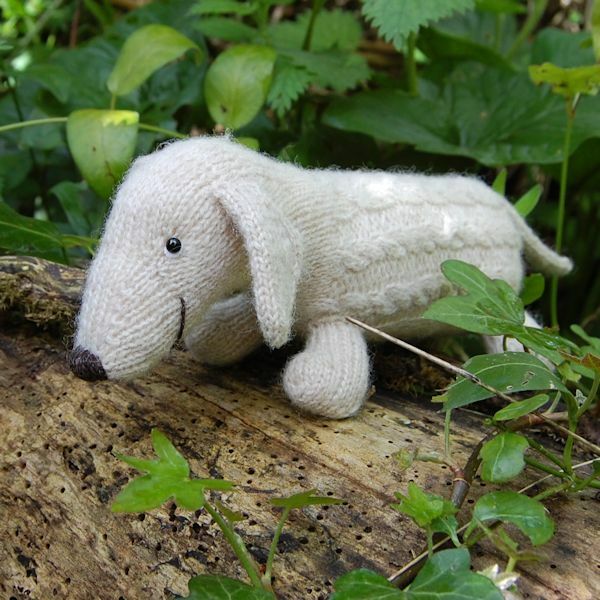 Please visit Claire’s Etsy shop https://www.etsy.com/uk/shop/DotpebblesKnits where you can find her wonderful pattern designs. 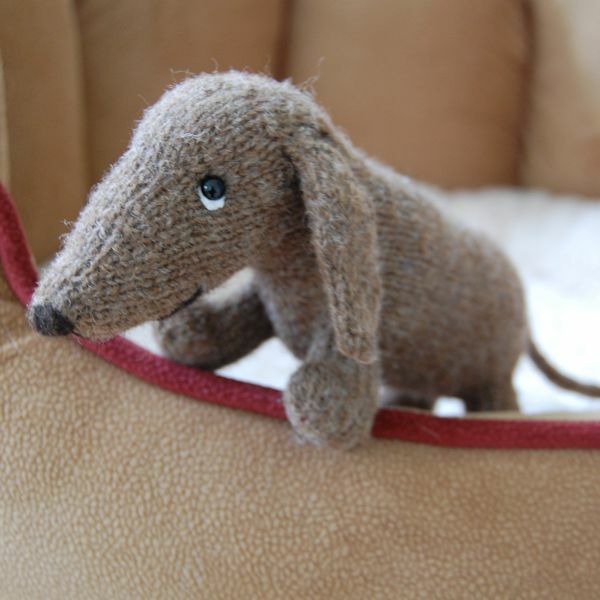 Little Bramble is made to look as realistic as possible with bright glass eyes and an embroidered nose, mouth and claw stitch detail. 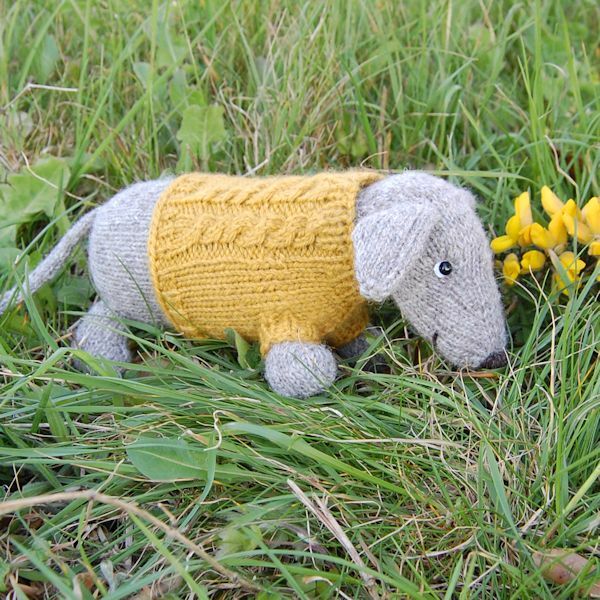 He measures 12 inches in height. 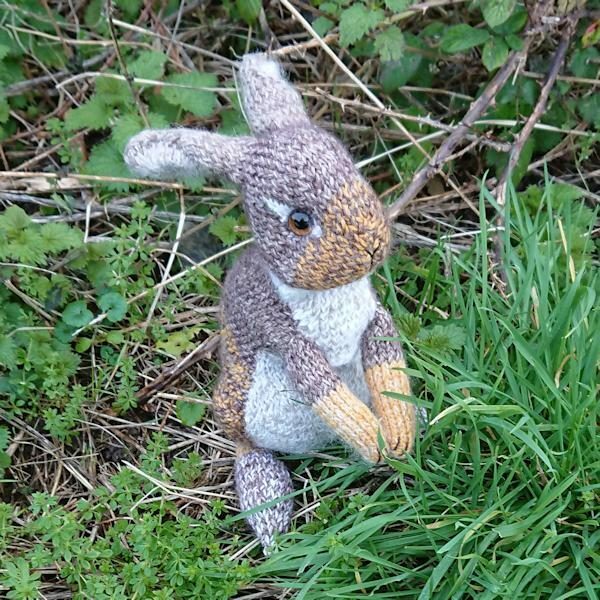 Bramble is a one of a kind little rabbit. 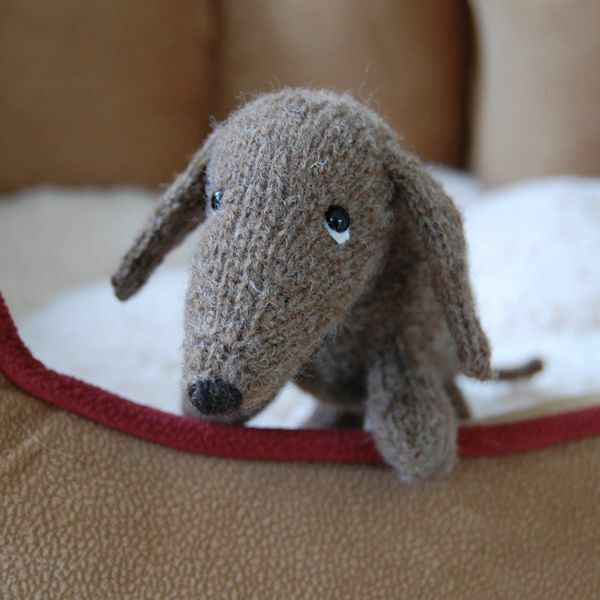 Due to his glass eyes, we are sorry but Bramble is not suitable for babies or children.